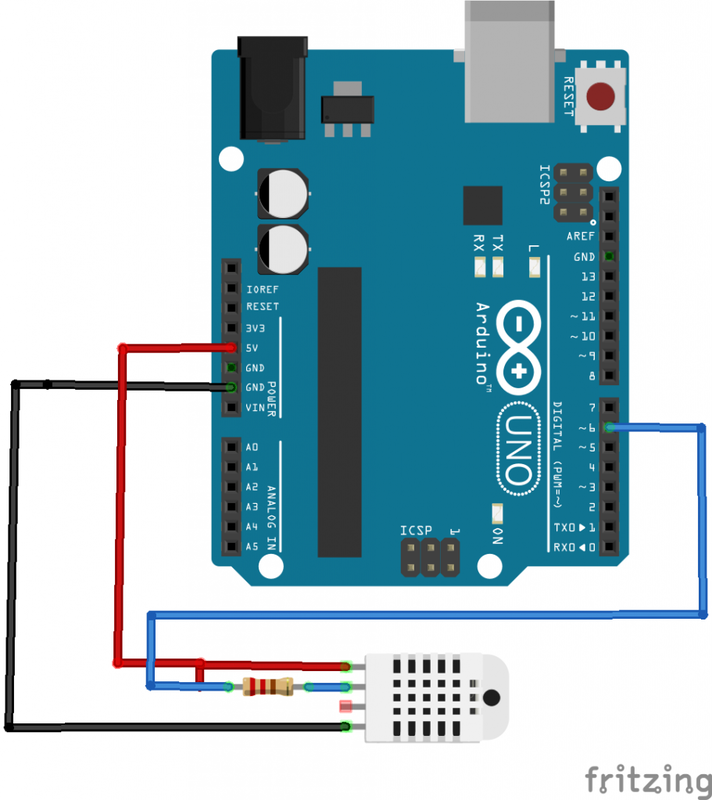 In this example we use the DHT22 (or AM2302) humidity/temperature sensor and the Arduino UNO board to read data and print it out to the serial monitor. The DHT22 is better than the DHT11 because it has a wider range of measurement, 0 to 100% for humidity and -40°C to +125°C for temperature. Also it has a digital output that provides greater data accuracy. The product has excellent quality, fast response, strong anti-jamming capability, and high cost. Each sensor is extremely accurate humidity calibration chamber calibration. The form of procedures, the calibration coefficients stored in the microcontroller, the sensor within the processing of the heartbeat to call these calibration coefficients.